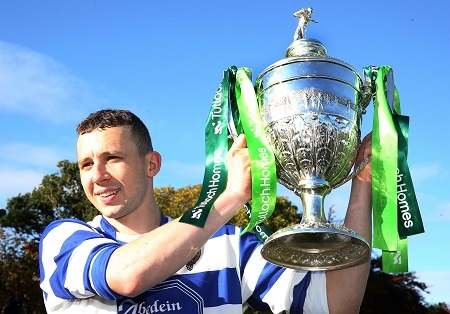 For the 32nd time shinty’s biggest prize is adorned with the blue and white ribbons of Newtonmore following a thrilling 3-2 victory over Lovat in Saturday’s Tulloch Homes Camanachd Cup final in Inverness. 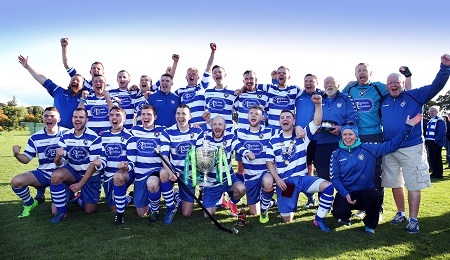 After a season which saw them relinquish their seven-year stranglehold on the premiership title – and ship seven goals in the MacAulay Cup final – Newtonmore have faced suggestions they are a team on the wane. But manager PJ MacKintosh felt victory on the game’s biggest stage was the prefect riposte to any doubters. “Do we look finished?” said the delighted winning coach in the wake of what was Newtonmore’s fourth victory in the competition in the past seven seasons. Evan Menzies struck a late winner to break the hearts of a Lovat side which had recovered from a sluggish first half display to level the match at 2-2 midway through the second period. Newtonmore’s Norman Campbell, who has been deployed as a goalkeeper this season, was a rock as he returned to a more familiar defensive role, and his team mate and skipper Rory Kennedy was outstanding playing his first match in eight weeks following an injury lay off. Paul MacArthur, normally a midfield player, deputised in goal and the changes ultimately paid-off in a closely-fought and sometimes temperamental contest which ended with Lovat’s Callum Cruden and Newtonmore’s Connor Jones sent off for a fiery late exchange. Newtonmore’s young striker Neil Stewart bulleted home a sweet finish to open the scoring on 16 minutes. Barely sixty seconds had elapsed when Jamie Robinson – a real driving force in midfield in the first half – burst forward and drilled in a second for the Badenoch side. With the wind at their backs Newtonmore might had added to their tally had it not been for some characteristically brilliant goalkeeping from Lovat’s Stuart MacDonald, but the Kiltarlity side would rally after the interval. Burly substitute Marc MacLachlan latched onto to a raking Craig Mainland pass to spark the comeback on 62 minutes. Moments later and the otherwise unflappable MacArthur misjudged Lorne MacKay’s long thump from midfield, and the ball squirmed over the line to leave the match all square. It was Newtonmore who finished the stronger, however, and with 14 to play Glen MacKintosh’s clever lay-off created the opening for Menzies to hammer home what proved to be the winner. 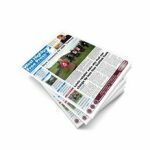 As legs tired, and tempers flared Lovat defender Cruden lashed out at Newtonmore sub Jones and after the striker retaliated both were shown red cards. In a hi-octane match where power tended to dominate finesse Newtonmore’s diminutive winger Drew Macdonald was a tireless and tricky presence in both attack and midfield to earn the Albert Smith medal as man-of-the-match. 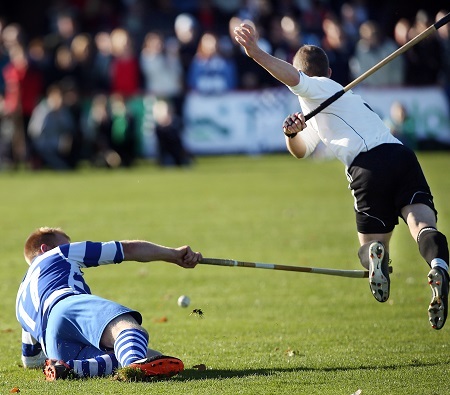 Lifting the cup as captain was the “be all and end all” of shinty for Newtonmore skipper Kennedy who won his race for fitness to play his part. Lovat skipper Greg Matheson regretted that his team were unable to rise to the heights the occasion had demanded. 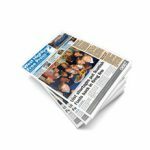 More on the Tulloch Homes Camanachd Cup final will be in this week’s West Highland Free Press, out on Thursday.